iOS 8 became available for download yesterday. But Pioneer Electronics is advising its AppRadio Mode users to refrain from updating their iPhones because of major compatibility issues. They made a statement today in that regard. It is not surprising that issues with so many apps exist but what is surprising is that app developers, including Pioneer, haven't prepared updates to fix the issues yet. Most developers test out their apps with beta versions of Apple's mobile operating system and release updates on or around release day. 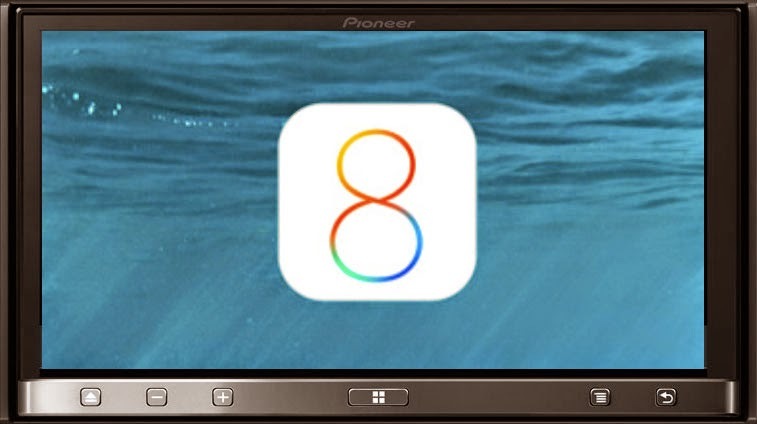 For AppRadio users and users of Pioneer DVD receiver and navigation receiver models with AppRadio Mode, Pioneer has completed its compatibility evaluation of iOS 8 with AppRadio Mode. The following AppRadio Mode applications are currently not compatible with iOS 8 due to a stability issue that results when using the in-app keyboard. The following AppRadio Mode applications are currently not compatible with iOS 8 due to general stability and/or display related issues. To maintain AppRadio Mode use of these apps, please continue using iOS 7.1.2 with your iPhone or iPod touch. iPhone 4 and iPod touch (4th generation) users: iOS 8 is not compatible with your iPhone or iPod touch, so the update does not affect your use of AppRadio and AppRadio Mode. We will continue to test iOS 8 with AppRadio Mode ourselves and report back with any changes or additional issues. Stay tuned for the latest. I would to inform you and your users that this announcement by Pioneer is a bit incorrect. The issues with keyboard are not caused by developer's work but is a bug on Pioneer's library that has problem with new iOS8 keyboard system. I'm writing this, because I don't want that users think developers don't take care about them and apps. When is waze going to be compatible again? I'm very disapointed buying avh-x5700bhs. Will keep writing bad reviews and stop people from buying pioneer head units until this is updated and works.